For many years John, The Magic Man has performed 100′s of Magic Shows for 1000′s of kids in Schools, Summer Camps, and Libraries. You’ll be amazed to see how John is able to keep the attention of the largest audience of children, (of all ages) thouroughly entertained and in complete amazement throughout the show. 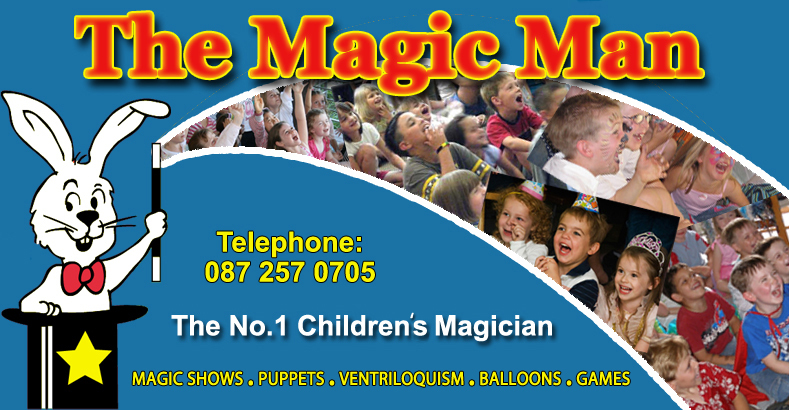 Through the use of highly visual and interactive routines with Stunning Magic, Hilarious Puppets, Ventriloquism and Balloons. ‘The ‘Fun for All Ages Show’ is full of ’audience particiapation’ and the Magic is simply Beyond Belief! – giving the children memories that will last forever!